In episode 12 of Home Made Easy, we take our projects to new heights. From hanging plants, to shelves and even wall art. Tanya Visser puts a forgotten garden gate to good use, turning it into an interesting outdoor feature. Start by hammering two droppers into the ground at a distance that resembles the width of your garden gate. Place the gate between the two droppers and secure using cable ties. Drill two holes on the side of each of the plastic pots (this is where the pot will be attached to the gate). Feed one cable tie per pot, through the drilled holes and get ready for planting. Add a layer of gravel at the bottom of each plastic pot to help with drainage. Fill the pot halfway with potting soil mix, add one seedling per pot and fill to the top with more potting soil. With the pots planted up, simply attach the pots to the gate by using the cable ties. Shelving is a great idea if you are looking to clear some floor space or display some of your favourite decorative items. 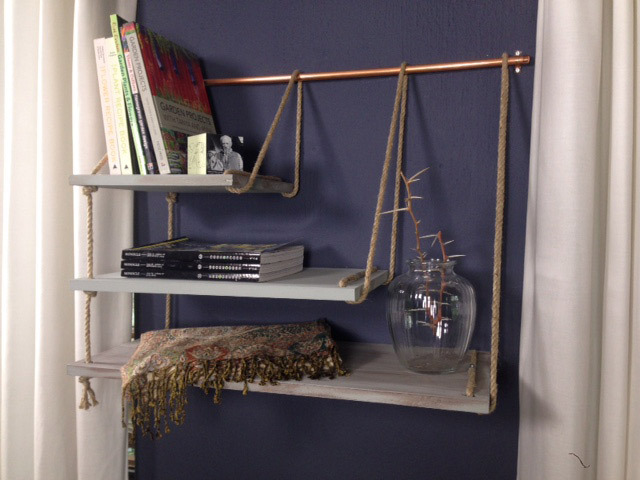 Measure 25mm from each corner of your 3x shelves and mark and drill holes big enough for your rope to fit through. Sand each shelf using 80g sandpaper followed by 180g sandpaper. Stain each piece before applying white paint – using a dry brush apply light strokes of the paint to your wood to create an aged look. Securely fasten the top rail to the wall using a bracket attached to the wall. 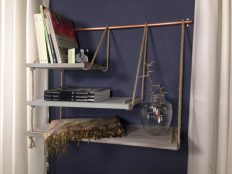 For the other end of each shelf, repeat the process and align your shelves to the desired height. Insert one end of the rope from the bottom of each shelf and thread down through the other end. This will reveal the rope on top of the wood and avoid having to tie a knot under each piece. However, you will need to secure each end of the rope together. Wall art brings life to an interior, whether through art or wall adornments. 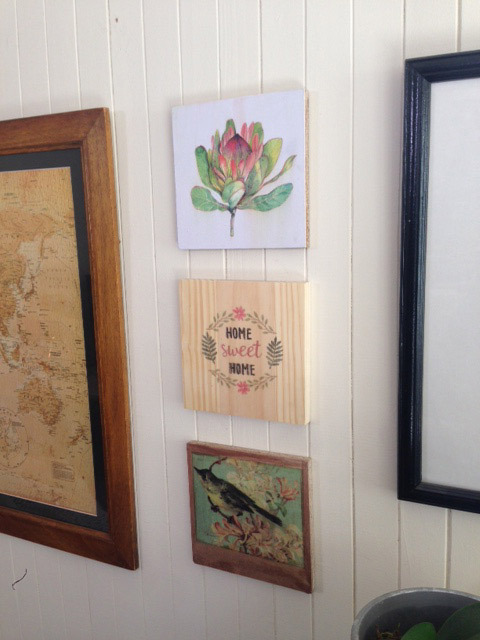 Trying your hand at macramé or transferring images to wood is a great way to make your own wall art. Measure out the length that you want your string to hang from the dowel. For this project string was doubled up in pieces of string to hang about 800mm, so the string was cut at 1600mm for each piece. Cut as many pieces of string as needed, to run along the length of your dowel stick with no gaps showing. Once the string is cut, lay them out on a flat surface side by side. Fold the string in half by keeping the two loose ends on one side, and the looped end on the other side. Knot yarn around dowel. With the string already folded in half and all pieces of string facing the same way, drape the folded part of the string over dowel and pull loose ends through the loop. Repeat to cover length of dowel leaving some space either end of the dowel stick. The ends of each string loop knot around the dowel stick may be messy and uneven but you can tidy that up later with scissors. Take the entire dowel stick with full length of loop knotted string lengths attached to it to a well ventilated area or outside for spray painting. Get creative and add colour to your DIY macramé. 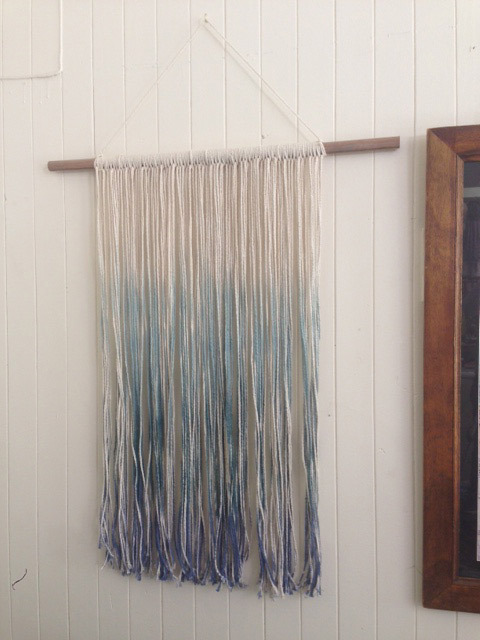 For this project a light, gradual “ombre” effect was used from the bottom up leaving the natural string colour at the top of the DIY macramé. Cover the part of the macramé you don’t want spray painted with masking tape and newspaper (or a section of your drop sheet). For this project 3 different colour spray paint cans in the same “colour hue” were used from darkest to the lightest colour. Spray a horizontal section with the darkest colour and darken the layers with more coats, working your way up. Remove the masked out area of your Macramé and you will see a harsh spray paint line. To diffuse this line so it blends with the top natural string colour, give a few horizontal light strokes of spray paint. Once the paint has dried, tie a piece of string on either side of the dowel stick in order to hang the Macramé on a wall. Use scissors to tidy up the ends of string, you can opt to cut this in shapes, angles or just straight across. Cover the front of the wood panel block with two coats of your chosen colour of paint or gel stain. While the paint is drying, print a favourite photo or picture. Cut out the image to size. Once the paint/stain is completely dry, use your paint brush to apply a layer of Mod Podge to the surface of the wood block/panel and to the back of the picture. Adhere to the wood panel, position and smooth out any bubbles with your fingers or a clean rag gently. Apply a coat of Mod Podge to the whole wood panel with a paint brush. Allow to dry. 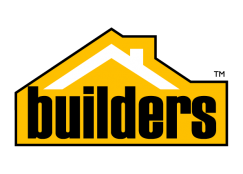 To apply quotes to wooden blocks, find an image or quote on the internet and save the image /file. Use a program (like Microsoft Paint) and select the function to invert/flip the image/file. Save. Cut wax paper to the size of an A4 paper so that it can fit into the printer. Place the wax paper into the paper tray of your printer and print the inverted image. Once printed, handle the wax paper with care as the ink is still wet. Place your wax paper with wet ink facing down on the surface of the wooden block and hold down as the ink makes contact with the wooden surface. Be sure not to move the wax paper as the ink will smudge. With a credit card, gently press the wax paper, smoothing it in all directions on to the wood surface. Carefully pull the wax paper off to reveal your transferred picture. Secure tooth hangers, using screws and a screwdriver on the back of your wooden art blocks and hang in a gallery formation on the wall.